Midnight Mixpanel color session. 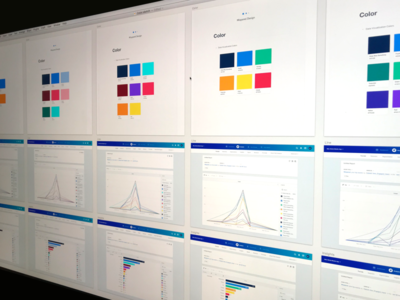 Currently knee-deep in @Eric Lobdell‘s style guide exploring some color options for our data-viz. Once we land on one, it shouldn’t be too long before we push out a refreshing update to the UI.